Sandbox to test how it works. Don't forget to install the appropriate 4D Internet commands! 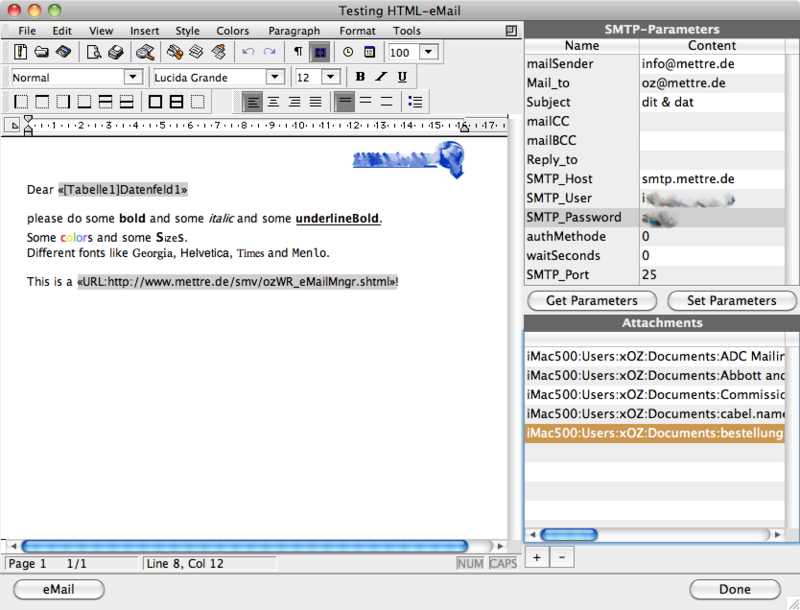 The resulting list is shown on the picture of the example database. First 3 Parameters are mandatory, others are optional. If you fill up, SMTP_User, SMTP_Password must be passed too. Attachments in Temporary folder will automatically be deleted after sending. Other attachments are untouched. Im not sure, if I like that: optional parameters in between parameters. 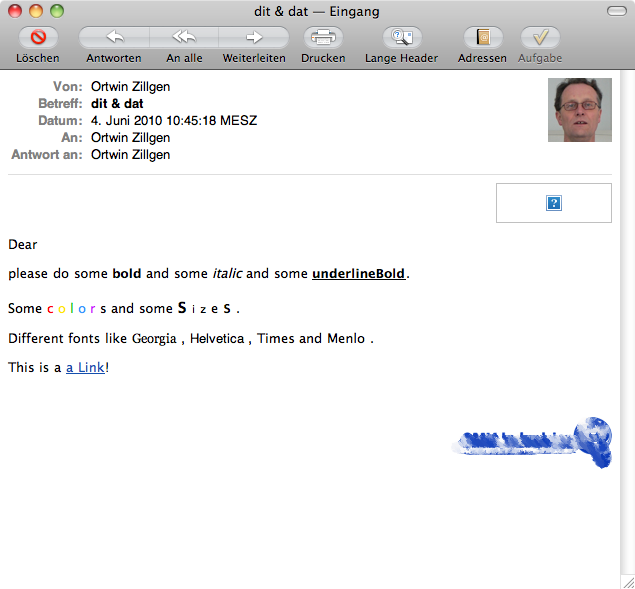 But it saves a lot of coding for a single mail and for mailmerge too. Its only HMTL 3.2, nothing about CSS and other fancy stuff common these days of HTML5. But it works and Outlook is oldfashioned anyway :-) We can live with that.